I love that word. Funny, although friends describe me as having an insatiable intellectual curiosity, I had not heard that word before even though it was coined back in 1970 when I was a college student. Now, suddenly, I read it everywhere. I highly recommend the article. It deals with a new era of “political correctness” which is enforced today as much by conservatives and helicopter parents (click for humorous video) as it is as a pejorative toward liberals. Actually, back in the 1970s, liberals used it as a form of self-ridicule until conservatives seized upon it as a pejorative by conservatives in 1990. Now, if conservatives can see the humor, it appears it will be going full circle. Today this translates into “demanding protection from words and ideas” we don’t like. He might not see the irony of conservatives now embracing “political correctness” e.g. outlawing use of the term climate change, for instance, or cherry-picking official duties like we saw in Kentucky, and refusing to read viewpoints with which they disagree. As many Southerners have for the past 150 years, I assume this is how he once rationalized that race relations today aren’t the result of slavery but the reconstruction following the Civil War. Hmmm. While I thought he was guilty of what he preached, I found his paper thought provoking which is why I always try to read from all sides of an issue. Often this provides clarity for one’s own thinking even if the viewpoints expressed seem objectionable. The way I found that “microaggressions” may apply to me is about something not nearly so heavy. 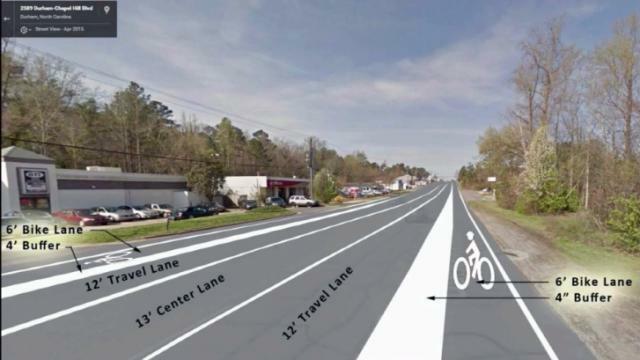 Durham, NC is in the process of taking a roadway down to two lanes as it passes through the Rockwood District, just south of where I live. A business or two objected even though the realignment would create more desperately needed street parking as well as additional traffic from customers who would then walk or bike. If the alterations backfire though, it will be because of a quirk in the way most North Carolinas drive compared to other states. Most, it seems, do not know how to make a smooth turn right off a roadway and into a parking lot without slowing traffic behind them. Here, instead, the maneuver involves coming to a near standstill and then gingerly turning every so slowly, forcing the cars behind them to brake and otherwise impeding the flow of traffic and, well, committing a “microaggression” of sorts. We North Carolinians have adapted though. We’ve surrendered the entire right lane on many four lane roads to essentially serve as one infinitely long right turn lane pushing all of the through traffic into the left lane, essentially making every roadway one lane in either direction. This, in effect, defeats the purpose of four lane roads in many places and results in adding more lanes when remedial training on how to make right turns off the roadway would seem far more effective. But changing cultural idiosyncrasies is more difficult than that. I haven’t spoken directly to the businesses that complained about necking the four land road through Rockwood into a two lane road with a left turn lane down the center. But I can bet they fear that driver behavior here when it comes to right turns will create traffic jams, forcing potential customers to take other routes, which would disrupt long established patterns for where they stop to eat or get coffee. If the project backfires, it won’t be because it didn’t make sense in theory, or that it doesn’t work elsewhere but because it doesn’t make sense for the way most people here choose to drive. A study should be done one day to find out why a majority of drivers in various states adopt quirky driving habits. Are half of all turns in California made without signals because drivers there are clairvoyant? So there it is. I am guilty of telling myself a story that different than the other five states in which I have lived, North Carolinians don’t know how to make right turns without impeding traffic behind them and they must be offending me on purpose. Seriously, people say and do insensitive or stupid things all the time without being guilty of racism, sexism, ageism or even “right turnism.” Stereotyping is not always bigotry, but that is where it most often takes root. But it seems as if being hypersensitive is becoming a distraction from more strategic social evolution. We seem to spend a lot of time in society now trying to limit or stand up against offense, often at the cost of too much form and not enough substantive change. Maybe we should worry less about micro or even nano aggressions and insults or how uncomfortable something makes us feel and work more on macro change. Easy to say when it isn’t your identity that is impacted. I'll try to remember all of this the next time I find myself muttering along in the right lane while someone, you know, annoys me.